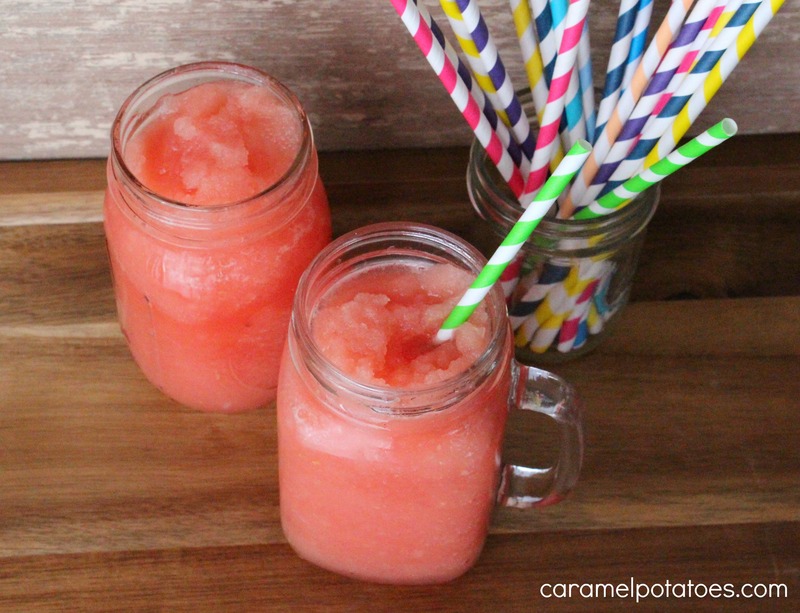 Yes it is mid-May and yes it seems odd for me to post a Watermelon Slush today. We have had a big drop in temperatures and plenty of snow. Mother’s day looked a little more like Christmas outside than a spring day. 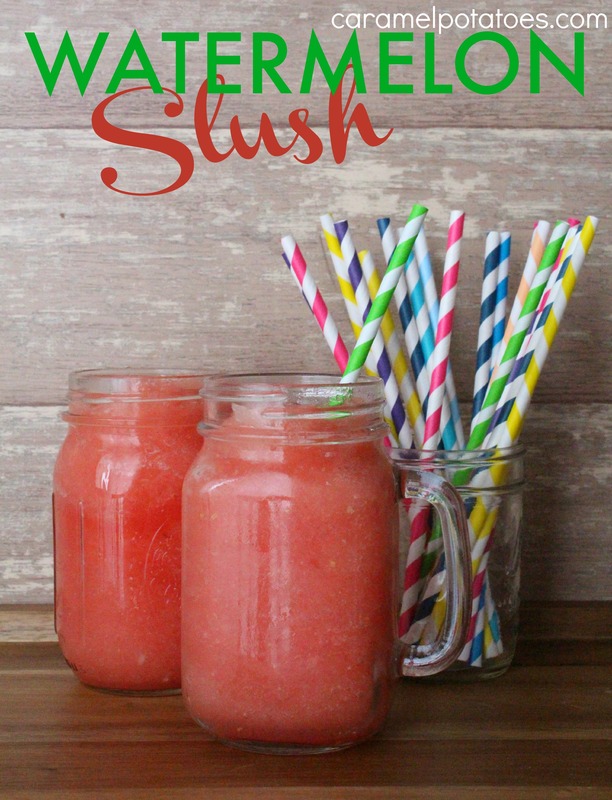 However, this Watermelon Slush is simple and delicious and maybe it will help it to feel like summer is really on it’s way even though the weather may be a little confused. Place watermelon, ice and lime juice in a blender; blend until ice is crushed. 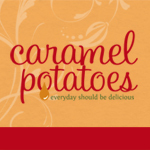 Add sugar if needed until desired sweetness achieved.